Lucinda Platt has been a Professor of Social Policy at the LSE since 2013. Before that she was a Professor of Sociology at the Centre for Longitudinal Studies at the Institute of Education, University of London. She is PI of the Millennium Cohort Study, a survey tracing the lives of over 19,000 children born in 2000/01. Primarily a quantitative sociologist, her main research interests are in ethnicity and child poverty and she has published widely in these areas in journal articles books and research reports. She also has engaged in mixed methods projects on health, identity and the impact of judicial review. She also leads the ethnicity strand of Understanding Society, the UK Household Longitudinal Study. She is currently involved in two NORFACE-funded migration project: LineUp and SCIP. 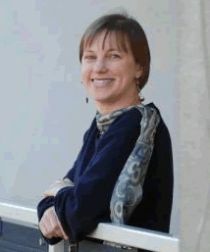 Lucinda Platt joined CReAM as an external fellow in June 2007.